Below are some of the questions we most regularly get asked about Freemasonry. Hopefully, they will help you decide if Freemasonry is for you. If you have a question that is not answered here, please drop us a message by clicking here. Is Freemasonry just about Lodge Meetings? Definitely not. We take part in many social and sporting events, and we join in with our wives, partners, and families to share these pursuits. We hold dinner dances and social evenings to which non-Masons are invited . Many members also become actively involved in charitable activities in the communities local to Croydon or do work for other good causes and charities. Various short reports from the Lodge Almoner, Membership Officer, and the Mentor. At the end of a meeting, a dinner called a ‘Festive Board’ is held where Lodge members, their Masonic guests, and other visitors dine together. You normally have to be at least 21 years of age. Applications from younger men who are interested in becoming freemasons will also be seriously considered although the absolute minimum age is 18. Under the United Grand Lodge of England, only men are admitted. However, there are two Grand Lodges in England exclusively for women. They are the Honorable Fraternity of Ancient Freemasons (who have a Lodge in Croydon) and the Order of Women Freemasons. We want decent, trustworthy men, of at least 18 years of age, who are willing to get involved. Creed, colour, race, religion or sexual orientation are also of absolutely no importance. Freemasonry is open to all and so is Crescamus Lodge so why not become a freemason in Croydon and join us. I’m interested in Freemasonry – What’s the next step? A member of Crescamus Lodge will then be in contact with you for an informal chat and to arrange a good time to meet with you. Only Masons who have been made a member of a Lodge may visit and enter a meeting. However, from time to time Masonic halls are opened to the Public and visitors are accepted. This is usually known as an Open day at which visitors will be shown around the building, including the lodge rooms and have the various lodge offices and activities explained to them. Also, Masonic halls are often made available to members of the public for functions such as business meetings, conferences, weddings, birthday parties, funerals and the like. Most have licensed bars and catering facilities. You will need a proposer and a seconder. If you don’t know us we can arrange an informal meeting to make contact and get to know you. We will probably invite you to a couple of social events to which you can bring your partner or a friend. If by mutual agreement it is then decided that you do wish to join, you will then meet the Lodge committee and if all goes well the Lodge at large will then vote on the proposal for you to join us at Crescamus Lodge and become a freemason in Croydon. This process can take anything between 3 months and a year. Do you need to know a Freemason to join? Traditionally that is the most common route to joining. 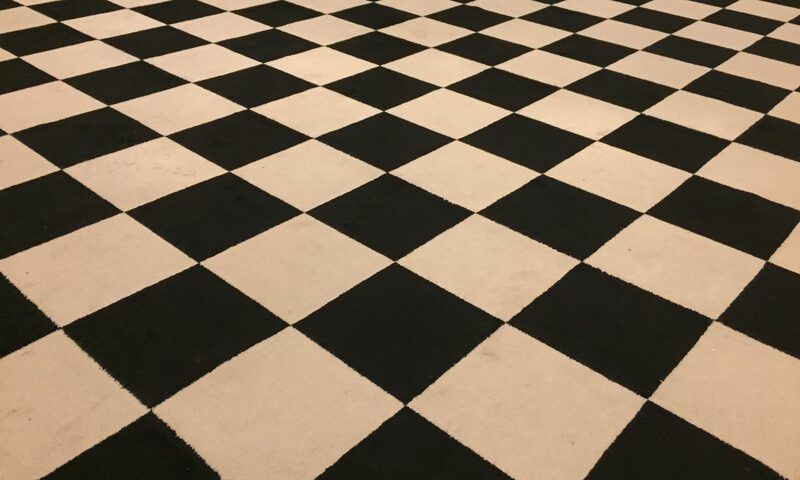 However, if you do not know anyone that is a Freemason the information on this website is designed to give you enough information about Freemasonry to make an informed decision as to whether Freemasonry is for you. You can alway contact us if you have any other questions. Yes. Whilst United Grand Lodge of England, following the example of medieval stonemasons, is and has always been, restricted to men, women Freemasons have two separate Grand Lodges, the Honorable Fraternity of Ancient Freemasons and the Order of Women Freemasons both of which are restricted to women. What do we get out of Freemasonry? If you asked the Brethren of Crescamus what they get out of membership, they might say many things. However, most would point to fellowship and mutual support. A feeling of doing the right things. A sense of continuity with the past and future. The satisfaction of ceremonies well performed. Perhaps an enjoyment of the theatrical aspects. A great deal of laughter, a few drinks, a good meal and something not easy to put into words. But mostly glad that we have become Freemasons and can share that with other like-minded people. What are your ceremonies about? The first degree conferred on a candidate is the Entered Apprentice degree. It is a candidate’s first experience of Freemasonry and like all Masonic ceremonies is a solemn and meaningful event. Though new to Freemasonry, an Entered Apprentice immediately becomes a Brother. The Fellow Craft degree is the second ceremony and introduces a Brother to more of the symbolism and philosophy of the Fraternity. During all three ceremonies, a candidate is always treated with respect. At no time, is he ever made to feel uncomfortable, embarrassed or harassed in any way. Every Freemason has been through the same ceremony for at least 300 years. Masonic ceremonies are a wonderful tradition passed on from generation to generation. These ceremonies are always conferred in such a way as to bring pride to the candidate and the members of the Lodge. There is a joining fee on entry and a yearly membership fee. In due course you will need your own regalia, this can be purchased from around £35, although second-hand regalia is also available. Our meetings are followed by a dinner, which cost about £35 including wine. As a guide, you can expect to pay between £250 to £300 per year in total. Members are also invited to give to charity but this should always be within their means. It is a private donation and it is entirely up to the person how much they wish to give. Of course, you might be asking yourself, can I really do this, can I become a Freemason? A Lodge can only succeed with the proper mechanisms in place to let its membership grow, thrive and for each member to support each other and develop his skills. Crescamus Lodge has both a Membership Officer and a Lodge mentor. Both are experienced Freemasons who are there to help and guide you as you progress. Outside of Crescamus Lodge, we are lucky enough to have the Foundation Club in Surrey a special club for new members, which gives them the opportunity to share experiences and widen their social circle. What about politics and religion? We never discuss politics or religion in the Lodge. Neither of these has any place in Freemasonry. However, if you want to become a Freemason in Croydon and join us you must have a belief in a “Supreme Being”. This belief, although necessary to become a Freemason, is entirely the affair of each person and is not our business. Can I become a Freemason? In order to become a Freemason, it is necessary to meet these requirements: Be a man. Have a sound reputation, and be well-recommended by your peers. In most freemasonry jurisdictions, you must believe in a Supreme Being, regardless of your religion. Remember, that if your question that is not answered, please drop us a message by visiting our Contact Us page.